Established in 1978, St Brelade's College is the only year-round British Council accredited English school in the Channel Islands. 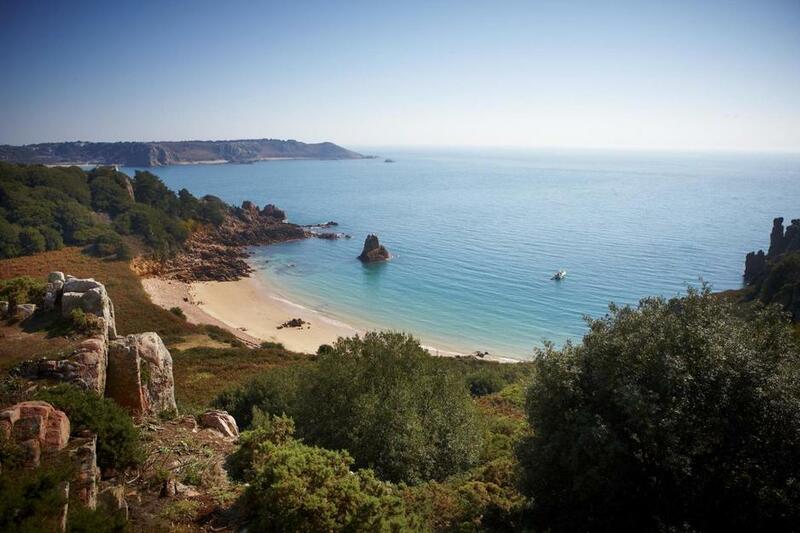 We are located close to the picturesque harbour village of St Aubin, on the island of Jersey. We offer a wide range of language programmes, including general English, business English, young adult courses, 50+ programmes and golf + English courses for adults, along with holiday, semi intensive and intensive courses for juniors. Our year-round programmes combine English with activity and social programmes where students can get to know other students, as well as the beautiful island. Our activity programmes include walks around the island's coastline, visiting some of the island's most stunning beaches, cultural visits to castles and historical sites, the zoo and watersports. Accommodation can also be arranged by the school, as part of the programme. Students can choose from homestay, adult and teenage residences or recommended guest houses and hotels. Learn English on our standard English course which includes a structured programme of English lessons in the mornings with the afternoons free to take part in our social programme or explore the island. Improve your English on our intensive English course. In addition to morning English classes, you will have an opportunity to gain the practice and confidence to communicate effectively in English through afternoon classes focused on conversation. Our intensive course also allows time to participate in two afternoon activities from the social programme. Our 50+ programme combines a course of English lessons in the morning with a selection of afternoon, evening and optional weekend activities. It is designed to appeal to mature students who want to enjoy Jersey's tourist attractions and beautiful scenery in the company of other people of the same age group. (15 hours). See sample programme. You may be surprised to find out that there are six golf courses in Jersey. With St Brelade's College you can enjoy some of these top courses, as well as improve your English. Combine an English course of your choice with golf. The Business Intensive programme is aimed at anyone who uses English regularly in the workplace. It is a cost-effective way to combine a standard English course, with some focused work in the skills and language required to communicate effectively with clients and colleagues from different nationalities. Our holiday courses are designed to supplement the English learnt by students at their own schools. They consolidate students' knowledge of grammar and allow them to practise speaking English. In the afternoons, students can enjoy the best of what Jersey has to offer as part of their English course; watersports, indoor sports, cultural visits, leisure activities and beach games. Evening sports and social activities are also arranged for students and you can feel comfortable for their safety on this friendly island. For students who are looking to quickly improve their English, we offer the junior Intensive English course. Students study on three afternoons, in addition to their morning lessons and can enjoy afternoon activities on the remaining two afternoons, as well as arranged evening activities.